Like every working place the cleaning industry, near miss can occur unexpectedly like an event or situation that, whilst not immediately causing harm, has the potential to adversely impact on health and safety of the cleaner or the environment. 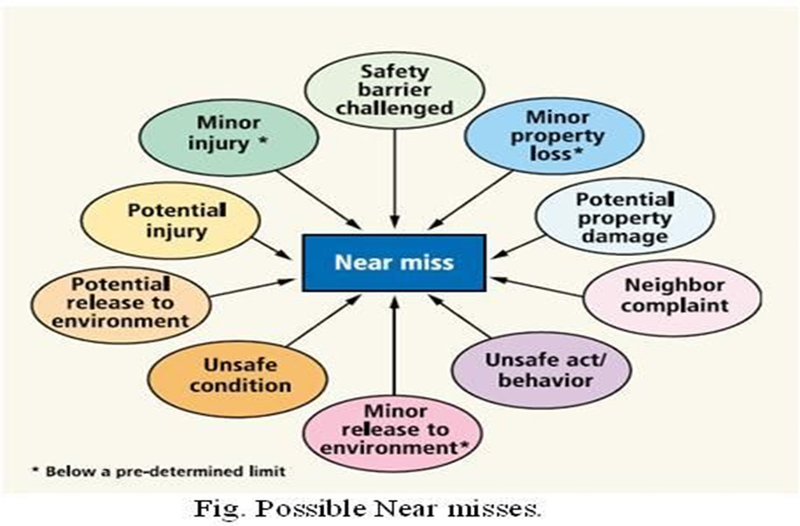 Do not get hanged up on the definition of near miss (near hit, close call, narrow escape, close shave etc.) 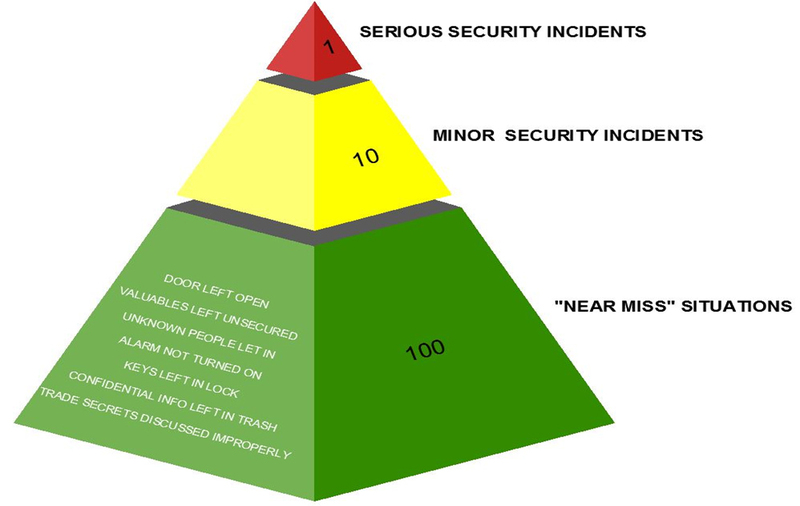 If in doubt highlight or report the incident or the situation to any your personal management team so improvements can be made in the near future to prevent a similar incident. Whilst carpet cleaning when moving chairs, tables, any other furniture to clean beneath and behind them, they could be dropped when you lose your grip or they could be heavy and you could damage you fingers, neck, feet etc. When other building contract works present and these works does not comply with the design or that could lead to collapse or failure. A container of chemicals is left in unsafe manner near to a water course or a road gully providing a potential pollution incident. An extension lead connected to a vacuum cleaner from a wall socket in not covered to prevent a trip hazard. Why cleaning teams have to report close calls? Learning from near misses in end of tenancy cleaning, office or house cleaning services reduces the base and the thus reduces the chance of reaching serious accidents. Near misses are caution sign that something is not working and enables us to learn lessons before a serious cleaning incident occurs. It helps in every cleaning company and its management to find trends and faults within the system and introduce effective control and measures. Near miss report give us the opportunity to provide our cleaning services safely which is always better as it does not include injuries and gives us more information to identify trends than those identified from accidents. When we make a formal statement about a near miss and learning from it, everyone at CCL Cleaners will benefit from working in safer residential, commercial and other environments. How can a near miss whilst providing cleaning routine could be reported? Tell your site cleaning supervisor or manager immediately, this is the best way of reporting near misses as it allows hazardous and risky way of working to be quickly ceased and put right and allows a proper examination into the root causes to be carried out. They have to be firmly established right from the beginning. The other important option is to inform your supervisor or the person who deliver your daily briefing; you could inform your director as well. Complete a hazard spotter, changing attitudes towards safety, report or near miss report, all these forms can be obtained from your site manager. All forms could be filled anonymously giving details of each close call or any hazards that the site working manager need to be aware of. What happens when I report a near miss? When you near miss hazard spotter is reported to our professional cleaning company management team it should be investigated on site promptly or in the office to ascertain the root cause (what is the problem? Why did it happen? What will be done to prevent it? Do we have to implement and ensure adequate control measures in place on site or in our office to prevent a reoccurrences? More serious incidents in commercial, domestic or communal cleanings should be notified immediately to the QSHE advisor supporting your working area or postcode to enable more rigorous investigation to take place. That is why no matter who carpet cleaner, house cleaner, office cleaners or common areas cleaning team any close call reporting is an important learning opportunity not only for them individually but for your cleaning site either is in East , West or North London, any Central London office building and the whole of CCL Cleaners. In the future every cleaner will see feedback on trends posted on notice boards and individuals who raise reports should be given individual feedback their supervisors on the progress or outcome. Integrate with other business units and sharing of information. CCL Cleaners is totally committed to providing an accident and incident free working environment., however we require all cleaners help to achieve this by reporting all near misses. All cleaners please bear in mind following: if you don’t report it we cannot learn from it. Cleaners a call on 02031376341.